Trendy jeans with crocheted tops, ethnic frocks and hip sneakers... Anyone who’s even vaguely on trend is mixing and matching to their heart’s content. Love that eclectic style too? 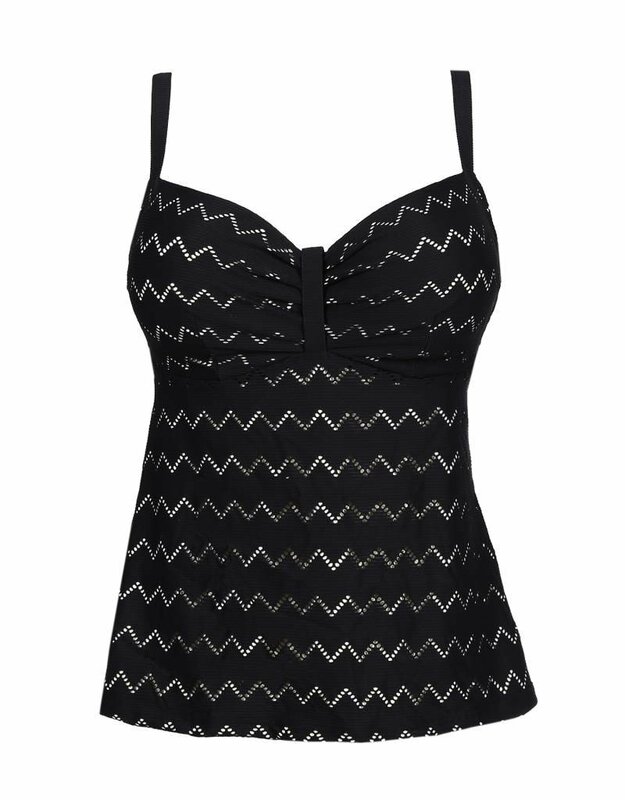 Check out this Maya Tankini's cool crochet look: smart and totally trendy, in stylish black. Elegant frills between the cups add depth to the cups. The straps are covered with line texture fabric. Wear them over the shoulder or round the neck. The light cups support and lift the breasts. 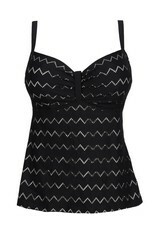 The swimsuit fabric covers your tummy elegantly. 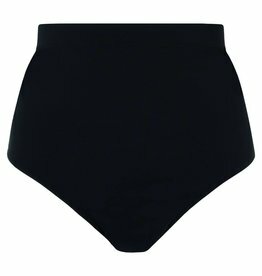 Matches perfectly with PrimaDonna Swim's Cocktail Control Briefs! Complete tummy coverage in the water. Never worry about your top floating up!